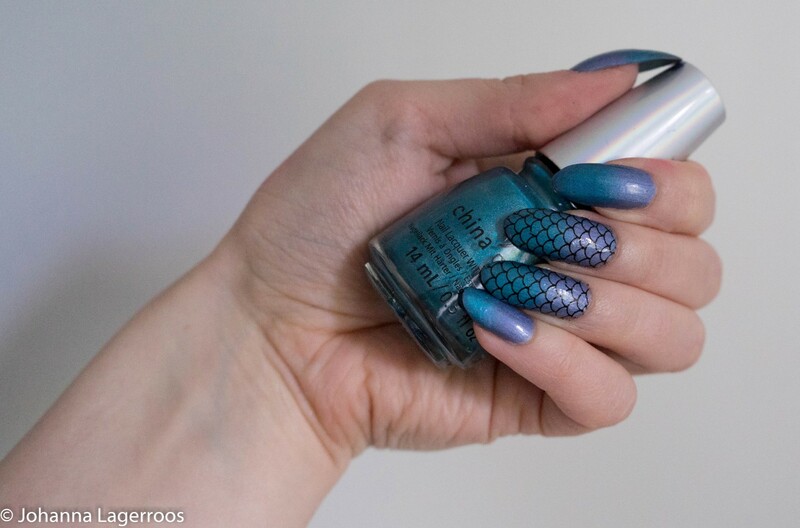 Time for another nail art post! Today we're creating something not necessarily super creepy but something that goes together with yesterday's makeup look. 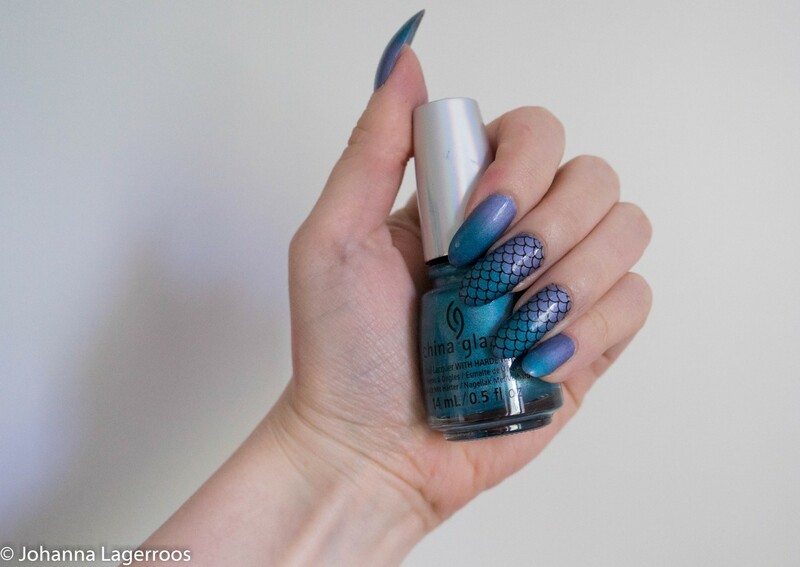 Mermaid nails. 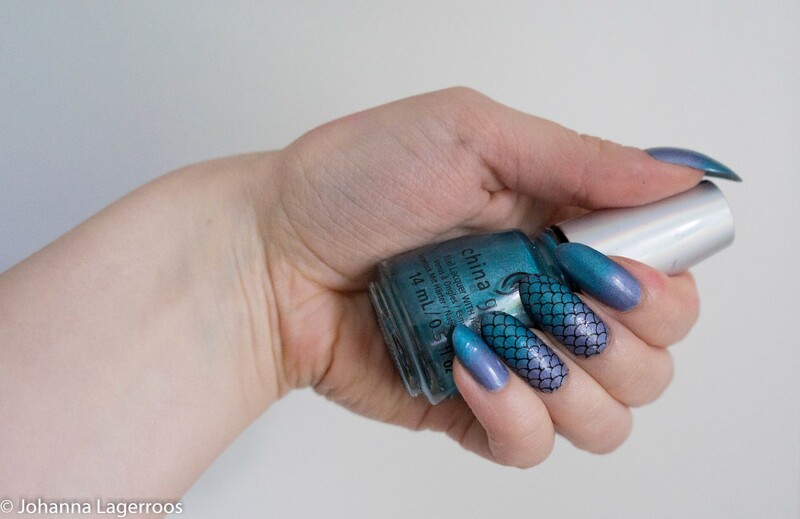 These are super easy to do, you only need a couple of polishes, sponge, and water decals (as well as whatever you need to work with your nail decals. Here you can see products I used for this look, top coat and base coat from Glisten&Glow, holo polishes from China Glaze, and nail decals from Shop Keeki. You'll also need scissors to cut the decals, nail polish remover to tidy the edges, tweezers for handling the decals and some water for the decals as well. And the sponge as mentioned before. The China Glaze shades I used are called 2NITE (the blue one) and DV8 (the teal one), both of which are from the OMG! Flashback collection that came out this summer. I made a simple gradient with the help of a sponge and added decals, and that's pretty much it. What do you think about this mani? Let me know in the comments! That's all I have for you today, I hope you enjoyed this quick little post and maybe even decided to try a mani like this. Also I hope you like how some of these Blogoween posts are quite short and simple, because I thought no one has the time to read elaborate posts every single day, and also, if I don't have something productive to say, why fill the posts with empty words. You can let me know if you agree or disagree with that one, I'm open to your thoughts. 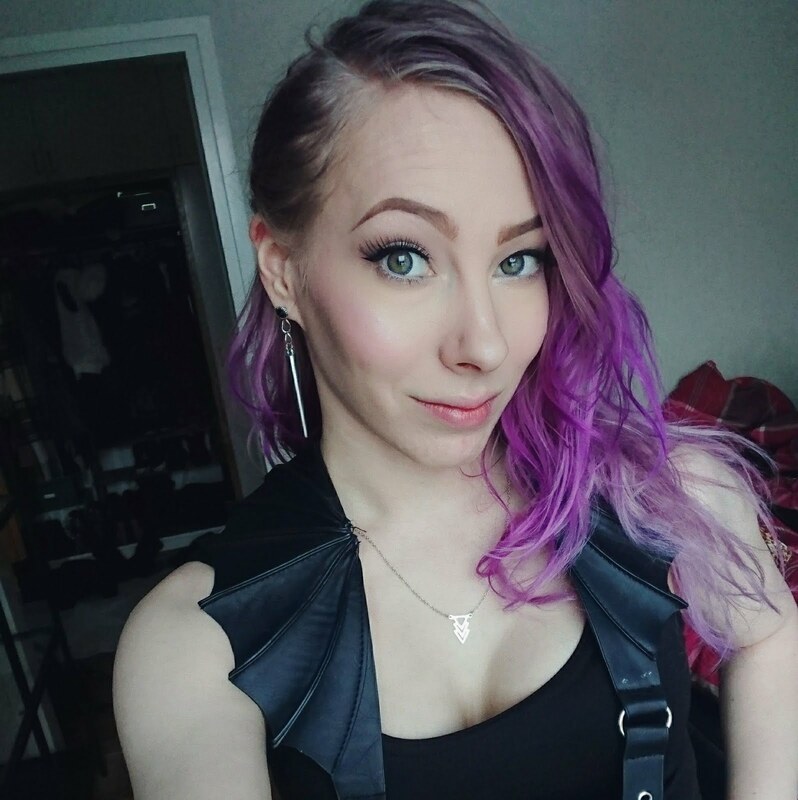 I'll see you lovelies in the next post tomorrow!